You can include signatures as a part of your inspection forms. 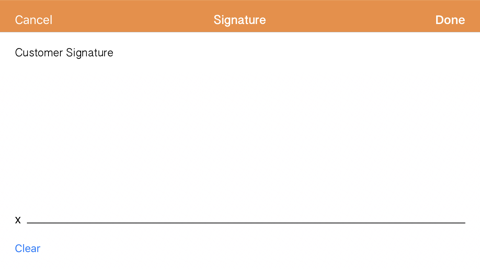 Signatures can be captured using the iOS, Android, or web apps. You'll need to be an administrator on the account to add signatures to forms. Add a line item: Open the inspection form you want to add a signature to. Add a line item, then change the rating to Signature. You will be able to add one signature per line item. Update your app: On your mobile device, open the app, go to Settings, and click “Download New Data.” This will ensure you have the updated form on the device. The next time you perform that inspection, you'll see a spot for the signature. Start using signatures: You’re all set! Your inspectors can now tap the pen icon to capture a signature when they use that inspection form. If you have any questions about this feature, please let us know. You can always email us at support@orangeqc.com.